Valid Friday, Saturday, Sunday and Monday - April 19 thru 22. Passholders bring a friend and receive 50% off lift tickets and rentals closing weekend! Discount applies on a regular priced lift ticket and cannot be combined with other discounts. Passholder can bring multiple friends and utilize the discount on multiple days, but must be present at the Ticket window with their season pass to receive the discount. Passholder must be present at the time of checkout at the rental shop to receive the 50% off equipment rentals discount. This offer cannot be combined with any other discount. Renters must present a valid credit card and photo ID for security deposit (no exceptions). Travel Money Cards and other prepaid credit cards are NOT accepted. Renters under the age of 19 should be accompanied by a parent or guardian who will need to sign the rental contract on their behalf. 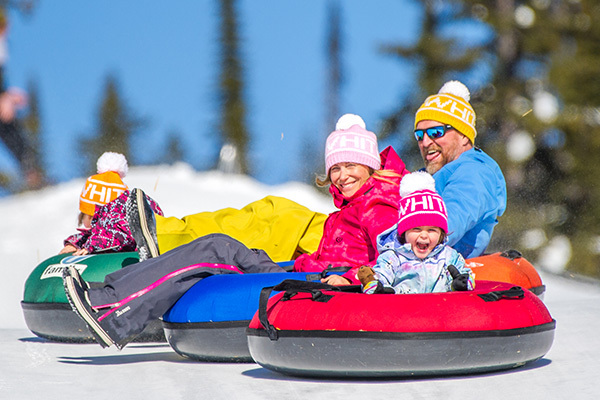 As Canada's Favourite Family Resort we treat Everybody as Family at Big White! Get the most out of your winter with a Big White Season Pass. It's your time, it's your freedom, it's your winter playground. Buy your pass and benefit from all the inside edge passholder discounts available with a Big White Season Pass. Season opens Thursday, November 22nd with the lifts spinning until Monday, April 22nd, 2019 for the longest season in the Okanagan! Reload your 16-17/17-18 season pass online and save the additional $20 card fee on your 2018-19 pass. On top of saving you money; reloading online offers the unbeatable advantage of direct to lift access on opening day. No more line ups at the ticket office! Reloadable season pass cards have a shelf life of 3 consecutive years, new cards must be purchased every 3 years. Reloadable season passes help reduce our carbon footprint. This has enabled us keep our passes at the lowest rates in North America compared to similar sized resorts. Student passes are not eligible for online reload but you can reload them in person with proper identification and proof of enrollment and we will be happy to extend the reload rebate to you. 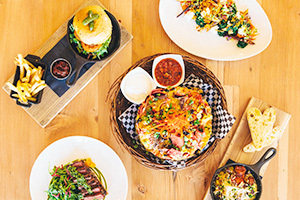 Save 10% on Food – Valid at Happy Valley Cafeteria, Sk8ers in the Happy Valley Day Lodge, Black Forest Day Lodge, Moose Lounge, Moonlight Bistro at the Westridge Warming Hut, Clocktower Coffee Co. and Kettle Valley Steak House. TAP TO SAVE - Tap your pass for discounts where available otherwise please present your pass. Come skate on ‘Canada’s Highest Outdoor Skating Rink’, it’s the same size as an Olympic Hockey rink! Skating is free for everyone so why not invite your friends and family to join you. 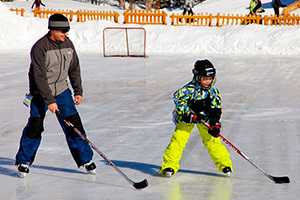 Skate, stick and puck rentals are available in the Happy Valley Day Lodge for an additional cost. 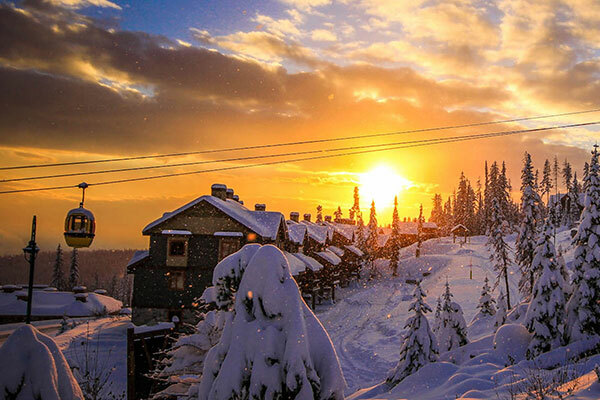 Get off the beaten track and enjoy Big White’s breathtaking back country with over 25 kilometers (15.5 miles) of Nordic trails, there is plenty to see and explore. 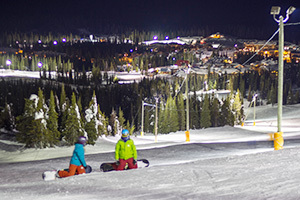 Ski under the bright lights in the largest night skiing area in Western Canada. The Bullet Express, Plaza Quad and TELUS Park Chairs offer night skiing Tuesday thru Saturday when available. An exclusive offer for our Passholders under the age of 13. 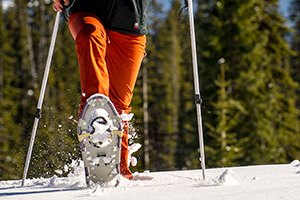 Only available online and is limited to 300 sets of ski equipment (sorry, no snowboards). Offer closes when sizes are sold out (first come, first served). 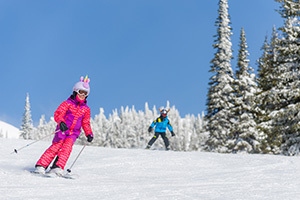 For only $135 (plus $25 compulsory damage waiver and taxes) you can take the gear home for the season and have the peace of mind that comes with knowing that your child has ski equipment that fits. Helmets are an optional extra $25 plus tax for the season. Bring a friend and receive 25% off a full day lift ticket. Guest must be accompanied by a season pass holder. Limit of 2 per pass holder per season. *Not applicable for Tot season passes. What's better than finishing your day with Tubing? 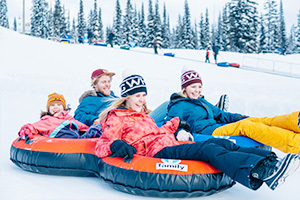 Bring your friends & family for fun times at the Tube Park, Canada's largest resort tubing park. 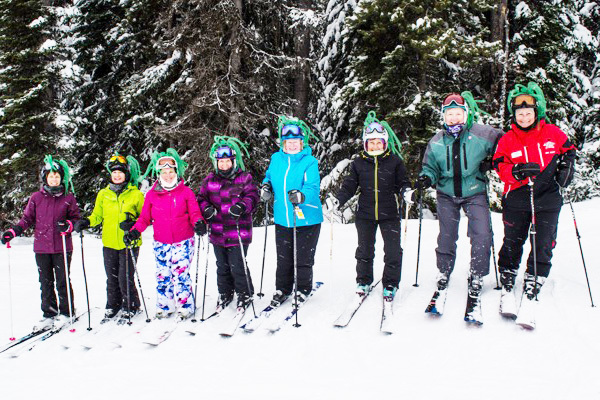 Big White Ski & Board School offers a fantastic range of group & private lessons for both children and adults. Everyone is grouped by age and ability level to ensure maximum progression and enjoyment on your holiday. 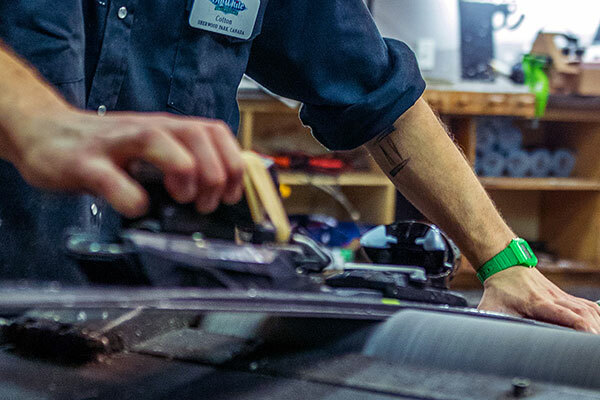 Damaged your skis or snowboard or just need a tune up? 15% off repairs from the Big White Repair Shop located in the basement of the Village Centre Mall. *Valid for personal use only. Leave your gear at home and give ours a try! 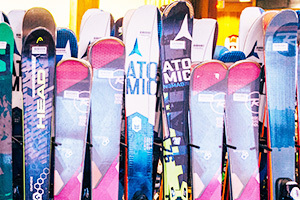 Receive 15% off all ski and snowboard rentals including high performance equipment. 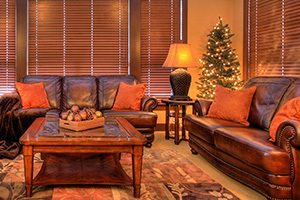 A 10% discount applies to rentals for family and friends that you accompany in to the Big White Rental Shop. 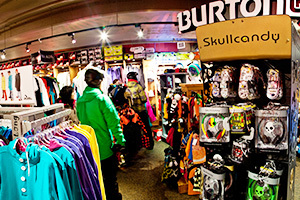 Get discounts on regularly priced items all season long – 15% off soft-goods and 10% off hard-goods from Altitude, The Rider, Dizzy’s Ski Shop and Mountainside. 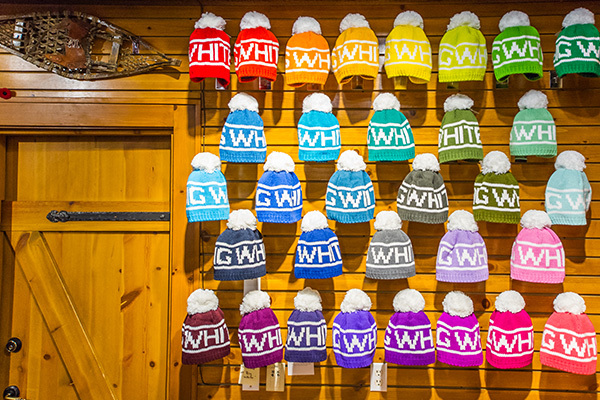 Big White's shops carry quality products that we know will work in our mountain environment. Our prices are affordable and competitive and our team is highly trained which ensures that you get the right gear. 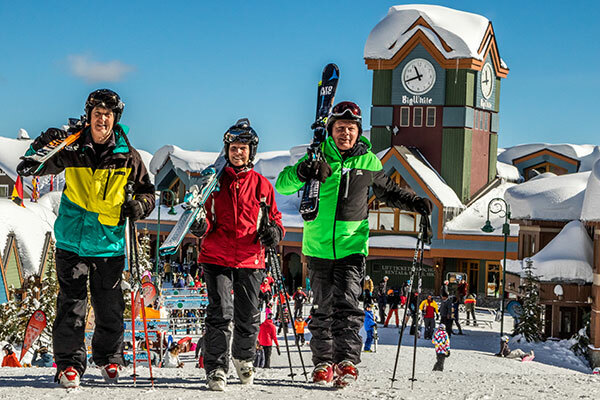 Our resort partners are happy to extend discounts to our Season Pass Holders. We have reciprocal offers with various resorts throughout BC, AB and select US areas, getting you up to 25% discount off unlimited single day lift tickets. Exclusive to Inside Edge passholders, 10% off all spa services upon presenting your 2018/19 Season pass. Phone 250.491.7799 or email: elevationspa@bigwhite.com to book. Located on the lower level of the Village Centre Mall. Available at The Blarney Stone any day of the week. 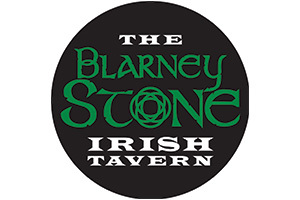 Plus you can enjoy 10% off all late night dining nightly from 9 – 10pm at The Blarney Stone. Must present your seasons pass for both offers prior to dining. Email blarneyreservations@globedining.com for reservations. 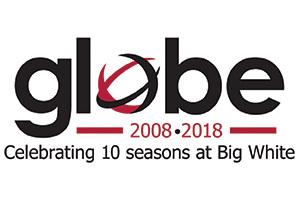 “Attitude Adjustment Happy Hours” Monday to Friday from 3-5pm with 10% off all Tapas for Season Pass Holders plus 10% off all late night dining from 9 – 10pm at Globe every night. Must present your seasons pass prior to dining. Exclusive to Inside Edge passholders, 15% off classes with promo code "bigwhiteinsideedge". 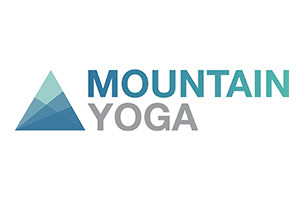 Visit www.bigwhitemountainyoga.com to book a class. 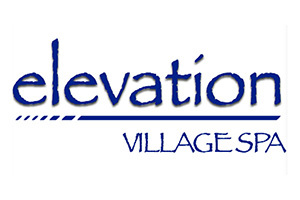 Located at Stonebridge#2 5257 Big White road, phone: 250.718.2464. MORE Than Just a Club! In addition to the regular season pass discounts and benefits, season pass holders aged 65+ will also receive exclusive discounts and deals. Receive a free regular coffee, tea or hot chocolate from all Big White food and beverage outlets - Happy Valley Day Lodge, Black Forest Day Lodge & Moonlight Bistro. Limit one per customer per day. Join us for Masters Monday! This program includes a 2 hour group lesson at any level for complete beginner to expert rider, as well as a fantastic gourmet lunch. Limit one per Club 65 passholder. Dates available are Dec 10, Dec 17, 2018 & Feb 4, Feb 11, 2019. 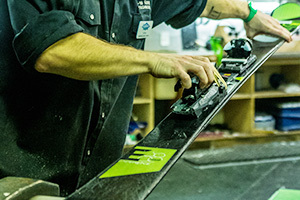 Leave your gear at home and test out the latest High Performance equipment with a one day rental at the Big White Rental Shop. Limit one rental per season. Receive 50% off a performance tune up on one set of equipment from the Big White Repair Shop in the Village Centre Mall. May purchase up to two 50% off performance tunes (regular price $60.00 plus taxes) at any time throughout the season (no further discounts apply). Valid until closing day of the 2018/19 season. Limit two discounted performance tunes per season per pass holder. Club 65 members receive an additional 5% discount on food at the Happy Valley Cafeteria and the Black Forest Day Lodge. 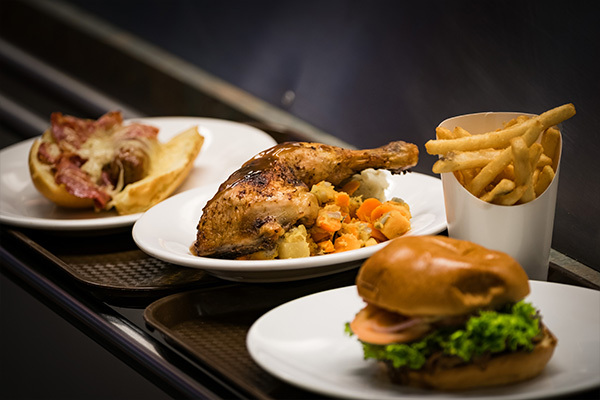 With the 10% discount passholders already receive that means Club 65 members save 15% on food. One time special $25 discount with a purchase of $100 or more (before tax) at Altitude. Cannot be combined with any other offer or discounts. Stay tuned for details thoughout the season for fantastic deals exclusive to our Club 65 members! MORE Than Just a Student! The Big White Ski Resort Student Pass is available exclusively to full-time students of recognized Canadian and USA accredited college, university, local trade or business school. For full time students you need to be studying in a minimum of 3 subjects in term 1 and 2 of the winter semester. *Failure to provide the above documentation will result in an increase to the current Adult Season Pass rate. 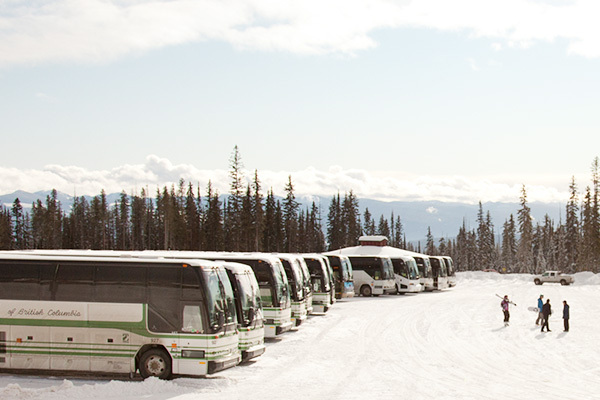 If you have any questions or need assistance, please contact our Ticket Office: 250.491.6262, toll free: 1.888.663.6882 during office hours or email: tickets@bigwhite.com & our team will be happy to assist you. Our reciprocal deals get you up to 25% off on regular priced 1 day lift tickets. Our resort partners have extended these discounts to our 2018-2019 Season passholders. A: Opening day is scheduled for Thursday, November 22nd, weather permitting. Q: Why as a long time Season Pass holder do I need to pay the $20.00 Card fee after 3 years? A: The simple answer is that the season pass card has a 3 year lifespan and cannot be reloaded again. After we revamped our season pass pricing to make it the cheapest and most affordable in the Okanagan region, the card fee was also part of the restructure and helps to keep the prices low in the way that you can reload for an extra 2 years after purchasing the card (and being able to go straight to the gate and not have to wait in line to collect and sign waivers) and helps to encourage Recycle, Reuse and Reduce our Carbon footprint. Q: I lost my card last year and was given a new card why is not allowing me to reload for the new season? A: When you lose a card and we exchange the Original Season pass for a new one, new card is only valid for the remaining of the current winter season. The start of the new season you will need to purchase a new pass (that will be valid for 3 years) and also sign a new waiver that will also be valid for 3 years. Q: Who has to sign a new physical waiver this year? A: All new passholders for the upcoming season and anyone who has turned 19 will need to sign a new waiver. Anyone who has lost his or her old pass and has a new Season Pass printed. Q: Who does not have to sign a new physical waiver this year? A: :All passholders for the past 2 seasons (16-17 & 17-18) renewing their passes online and signing the online waiver do not need to re-sign a physical waiver. Q: Do I need to sign a waiver if I am renewing online? A: Everyone renewing their season pass online will only need to complete the online waiver. If you skip this process your card will be blocked until such time as you sign a waiver in front of a big white staff member before you first day of skiing. Q: Do I need a new photo? A: You do not need a new photo if you are renewing your season pass. All new passholders will have their photo taken when they pick up their passes. Children who have changed a lot since their last photo are also encouraged to come in to have a new photo taken. Q: What if I change age category before or during the ski season? A: All age category cut-off dates are as of the date of sale. Those turning 65 after the date of sale but before December 31st can buy a Club 65 Season Pass. A: Anyone who was a passholder for the 2016-17 and 2017-18 season except student passholders. Please make sure to have your physical season pass on hand as you will require the WTP number located on the back. Only passes from the past 2 seasons are valid. Q: How do I save the additional $20 card fee on my next pass? A: Don’t lose it! Reuse it! If you reload your 2016-17 & 2017-18 passes you can save the additional card fee of $20.00. A: Kelowna Head Office: Monday to Friday 8:00am - 4:30pm, closed 12:00pm - 12:30pm for lunch. Q: Where do I pick up my pass? A: You can pick up your pass from September 2018 at our Kelowna office at 1894 Ambrosi Rd from 8:00am to 4:30pm Monday through Friday and from Opening day at the Village Centre Mall on the mountain from 8:00am to 4:00pm. Q: What if I renewed my pass online? A: Season passes renewed online are ready for this season and you can head straight to the lift on opening day! Q: I am on the payment plan, when can I pick up my pass? Q: How can I buy a student pass? A: Buy a Student pass online, by phone at 250.491.6262, in person at the Ambrosi Rd office or from the main ticket office in the Village Centre Mall once it is open for the season. Q: Can I renew my student pass online? A:Student passes cannot be renewed online due to Student ID and full time enrollment documentation requirements. They can be renewed in person at the Ambrosi Rd office, by calling 250.491.6262 (not active until valid documents reviewed) or from the main ticket office in the Village Centre Mall once it is open for the season. Q: What is required to qualify for Student season pass? The Student Pass is available exclusively to full-time students (3 + plus courses for the September-December semester and January-April semester) of recognized accredited college, university, local trade or business school in Canada or the United States. Students can pre purchase a season pass online but they cannot renew an existing pass online. Co-op students and Apprentices are eligible as long as you are in school for at least 8 weeks during the fall & winter semesters and must present a letter from your school's administration office stating the period you are in school. *A list of Canadian accredited colleges or universities can be found here:http://www.eduers.com/University/accredited/canada.html. Q: What do I need to show to collect my student pass? If you are a Co-op or Apprenticeship student, please have a copy of your course schedule and letter from your employer showing employment and hours worked. Q: Do I need to have a printed version of Full Time student status paperwork? A: Students are welcome to log into their school online Student Services page to show the above noted proof. Screenshots of schedules and proof of payment are not accepted. A: No Problem. We can replace it for a $25 printing fee. A: You will be issued a day ticket and have that pass "hot listed" for the day. Only one forgotten lift ticket per pass holder, per season will be issued. Q: Can I purchase season passes, kids seasonal rentals and/or lesson vouchers in the same transaction as my season pass purchase? A: No. The season passes and Kids Seasonal rentals and/or lesson vouchers must be completed in 2 separate transactions. A: Personal information you provide to Big White Ski Resort during your season pass purchase is collected for the purpose of processing your season's pass application, delivering information and materials related to your season's pass purchase, for other promotional purposes, and for contact purposes in case of emergency. This information is collected for our internal use and will not be disclosed except as may be permitted or required by law. You may learn more about our organization's Personal Information Protection Policy at bigwhite.com/mountain-info/trademark-privacy-policy/ or by contacting our Personal Information Administrator at 250.765.3101. The price of the refundable option is $25 for individual passholders. Big White Ski Resort will refund the cost of the seasons pass if you suffer an injury or sickness that hinders your ability to ski or snowboard. If your parent, spouse, or child is also a refundable pass holder and chooses to cease participation due to injury or sickness, he or she can seek a refund. The refund is available to one additional claimant. 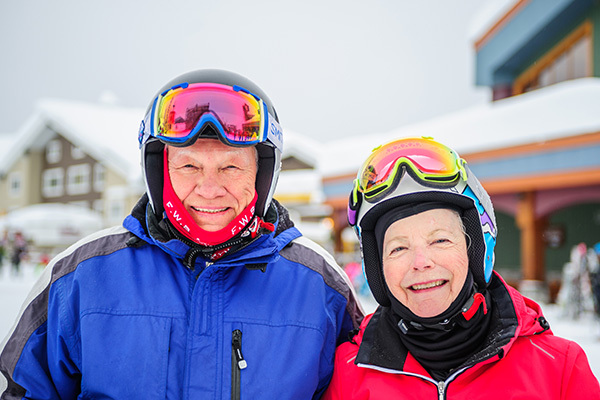 The refund option does not cover: non-participation caused by or contributed to by intentional self-injury; non-participation due to emotional disorders or pre-existing conditions unless you are hospitalized or any injury or sickness that does not prevent the participation of skiing. If you need to request a refund, we must receive your written request within 15 days of non-participation. We will not accept refund requests after April 1st. All refunds subject to Big White Resort Ltd.'s discretion and approval. Big White Ski Resort Ltd.'s interpretation of the above conditions is final. 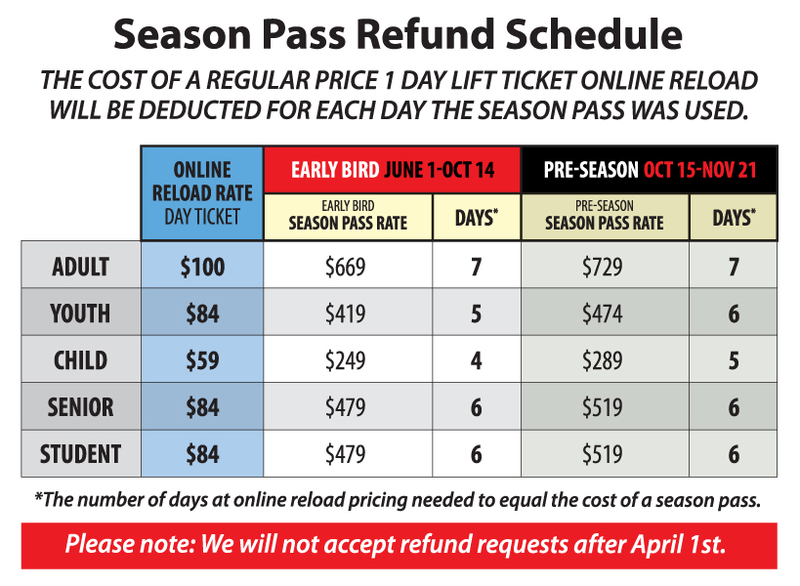 The Cost of a regular price 1 Day Lift Ticket Online Reload will be deducted for each day the Season Pass was used. 2018/2019 Winter Season Passes On Sale Now! All prices quoted are subject to tax. MORE Than Just a Regular Season! Tentative opening date is Thursday, November 22nd (Snow Permitting) with the lifts spinning until Monday, April 22nd, 2019 for the longest season in the Okanagan! Want more winter fun? Add Unlimited Tubing to your Season Pass for $119 for ALL ages this year. The Big White Tube Park is open Mon - Fri: 4:00pm to 9:00pm and Sat, Sun & Holidays: 2:00pm to 9:00pm, weather permitting. All prices quoted are subject to tax. All prices are quoted per person in Canadian dollars and are subject to tax. Season pass and Cardholders must be aware of and obey to the Terms & Conditions. Refund Policy: Season passes and Biggie Cards are non-refundable, non-transferable and are to be used within the season they are purchased for. Payment Plan payments are non-refundable. Season passes are not valid until paid in full. The Refundable Pass Option is only available when purchased concurrently with your season pass. Season passes and Biggie Cards remain the property of Big White Ski Resort Ltd and may be revoked if the following rules are not observed. Your pass is for your personal use only. It is not transferable and cannot be resold. Respect the Mountain. Respect Others. Respect Yourself. If you do not obey this rule, you may be removed from the mountain and lose your pass privileges. Offensive or threatening behavior towards other guests or our staff will not be tolerated. You must abide by the Alpine Responsibility Code at all times. If you do not obey this rule, you may temporarily or permanently lose your pass privileges. Season passes and Biggie Cards will be voided immediately and permanently if someone else is caught using your pass or card whether you are aware of the misuse or not. You are liable for any misuse while the Pass or Card is not in your possession unless you have already reported your pass lost/stolen prior to the misuse. Remember passes are valuable so please keep them in a safe place at all times. You are responsible for reporting if your pass or card gets lost, stolen or damaged right away. For replacements, you will be charged a $25 reprint fee (upon presentation of a valid government issued photo ID). Big White Ski Resort may change the opening and closing dates of the mountain and of the Season. Big White Ski Resort reserves the right, at any time and without notice, to amend the terms and conditions of Season passes and Biggie Cards. The price of the refundable option is $25 per individual passholder. 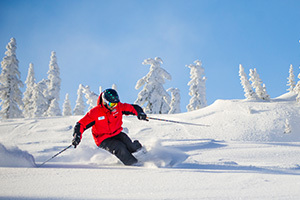 Big White Ski Resort will refund the cost of the seasons pass if you suffer an injury or sickness which prevents your participation in skiing or snowboard. If your parent, spouse, or child is also a refundable passholder and chooses to cease participation due to injury or sickness, he or she is entitled to a refund. The refund is available to one additional claimant.